One of the features of TypographyKit is the ability to define a color palette for an app thus helping to ensure visual consistency throughout. Rather than ending up with varying shades of the same color across different screens of an app, TypographyKit can help developers ensure that it is in fact the exact same color used across each screen. Colors are defined in TypographyKit as part of either a TypographyKit.json or TypographyKit.plist file under the typography-colors key and may be specified using rgb values or hexadecimal e.g. The TypographyKit json or plist may either be bundled with your app or hosted remotely. static let blueGem: UIColor = TypographyKit.colors["blueGem"]! 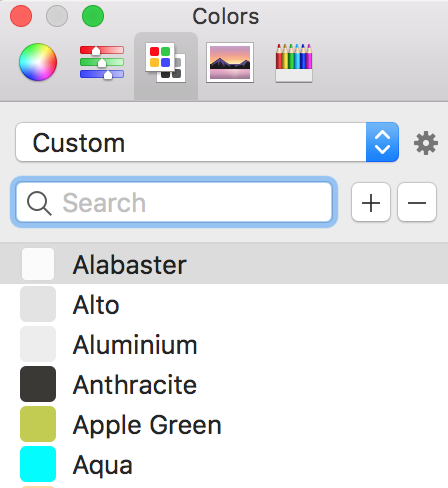 This provides a programmatic means of accessing your colors defined in TypographyKit as easily as any other UIColor but what about when you want to make use of the same color palette in Xcode’s Interface Builder?